TRANSFORMING HEALTH — Five rural Pennsylvania hospitals are testing a pilot program that aims to keep them financially viable and help them better target resources to patients. Rural hospitals have unique challenges, said Andy Carter, CEO of Hospital and Health System Association of Pennsylvania, which supports the measure. Those hospitals face declining numbers of patients, and more of their patients are on Medicare and Medicaid, which pay less for services than commercial insurance. Rural hospitals also have a harder time affording needed health care professionals. The global budget model sends a fixed amount to each hospital every month that allows it to target resources to what it needs, such as substance abuse or mental health services, Carter said. David Hoff is CEO of Wayne Memorial Hospital, which is testing out the program. Hoff said the new model frees up the hospital to put resources where they are needed. 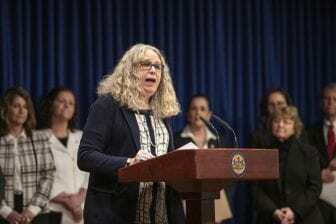 The program will also keep at-risk hospitals open, and save jobs, said Department of Health Secretary Rachel Levine, who hopes to see 30 hospitals participating by January 2021. The model won’t change anything for the way patients pay their bills, said Department of Insurance spokesman Ron Ruman. The difference lies in how the insurers pay the hospital. Commercial insurers Highmark, UPMC and Geisinger are particpating, Ruman said. Insurance Commissioner Jessica Altman is working to bring other insurers on board. Ruman said the change could lead to lower patient costs, as doctors are able to provide more services outside of an emergency department setting, focusing on issues in those communities such as diabetes or smoking. “The hope, here, is the treatments are more effective and efficient,” Ruman said.